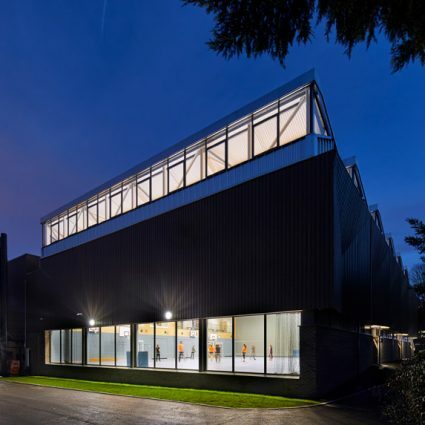 The Deutsche Schule London is one of the largest of German schools abroad. 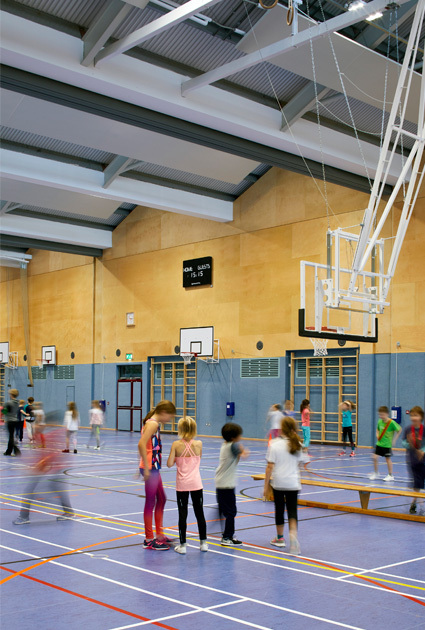 It caters for almost 900 pupils from kindergarten through middle school up to the bilingual Abitur and the IB diploma. 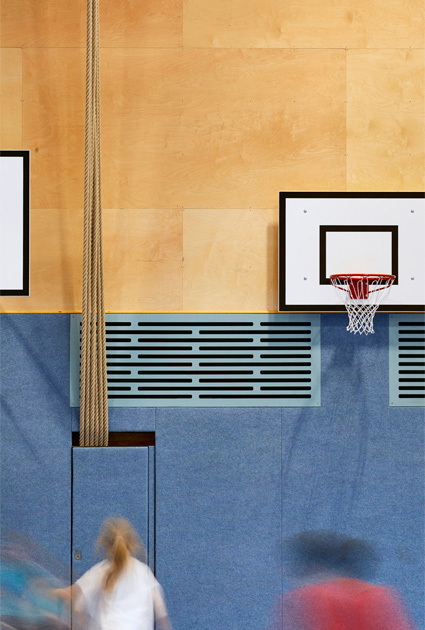 The school is supported by the Federal Republic of Germany and is certified as an “Exzellente Deutsche Auslandsschule”. 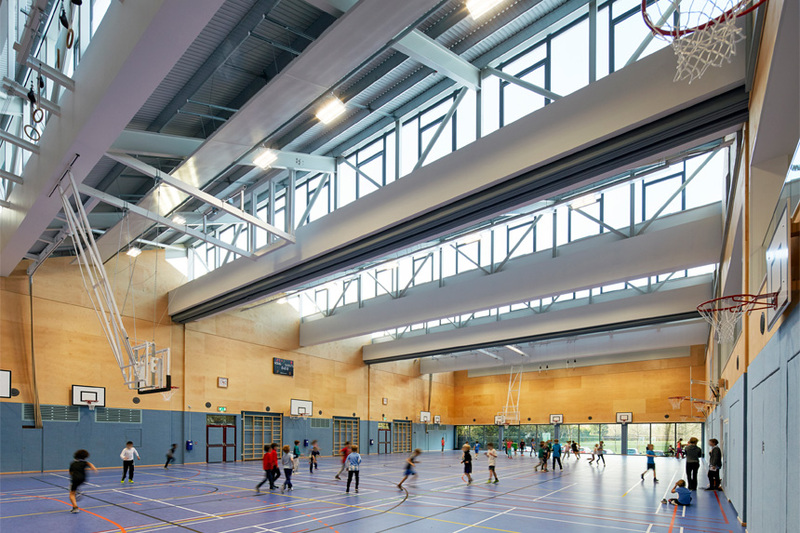 The project for a new sports hall building was won in an invited competition with design & build contractor partner, Neilcott Construction. 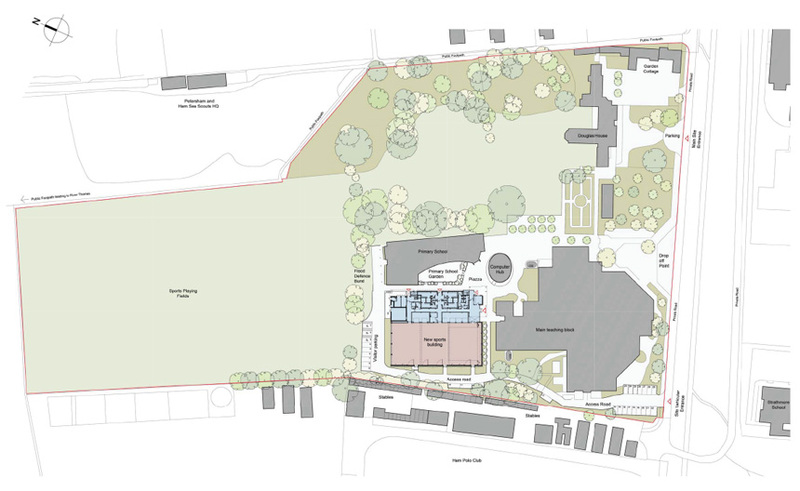 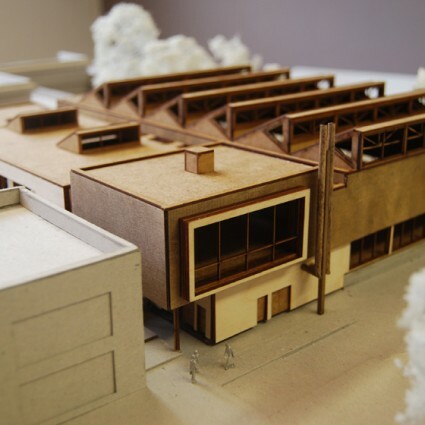 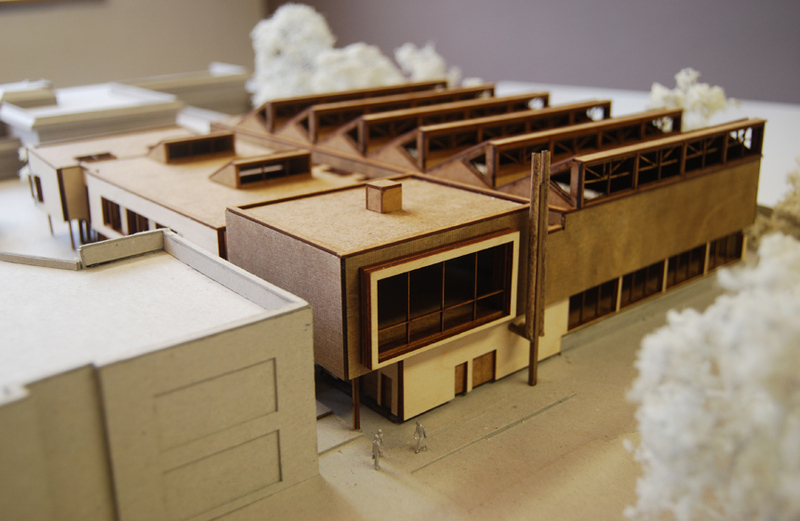 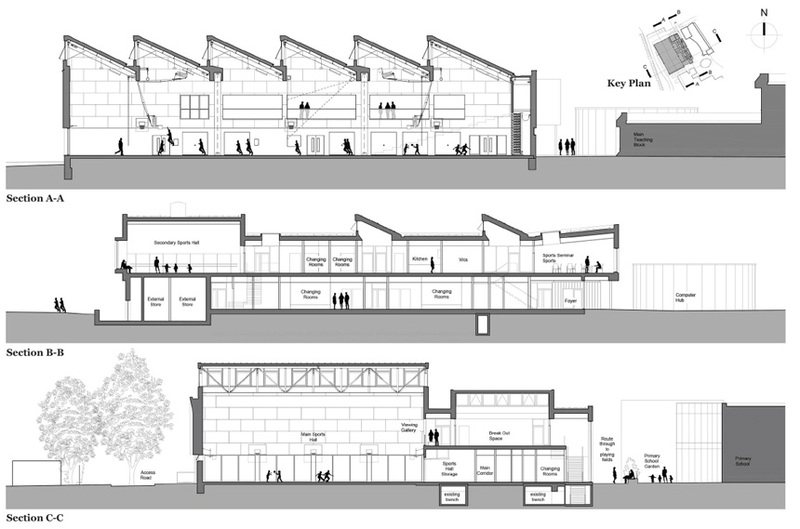 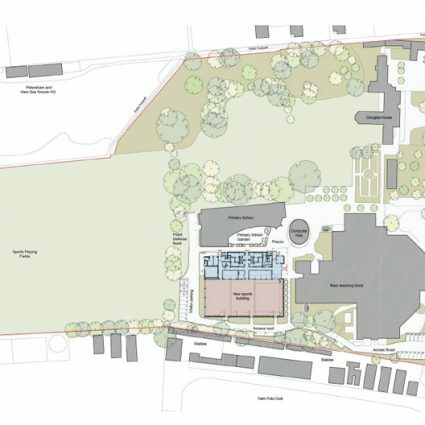 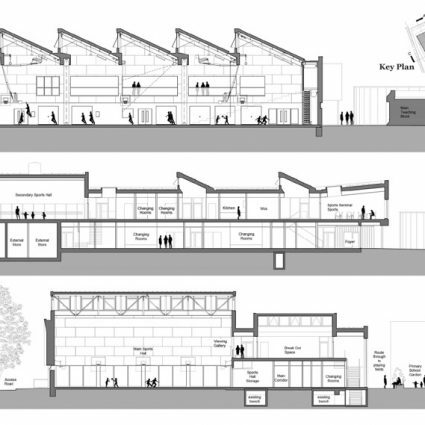 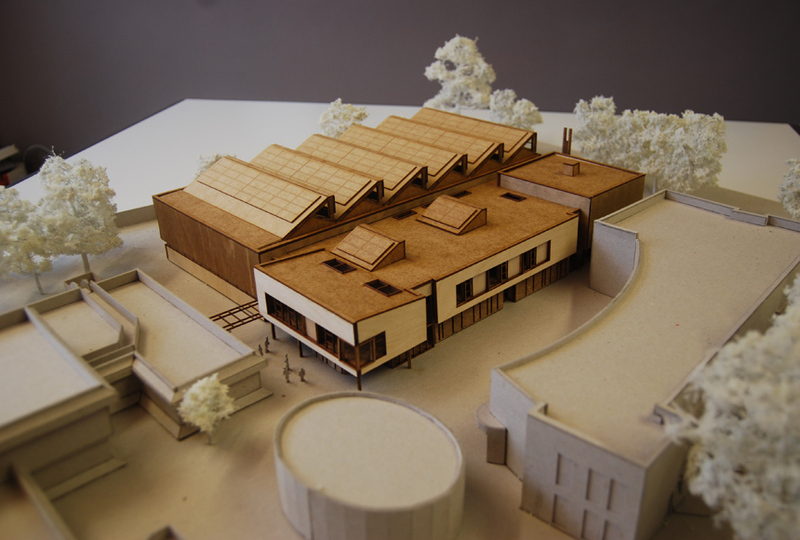 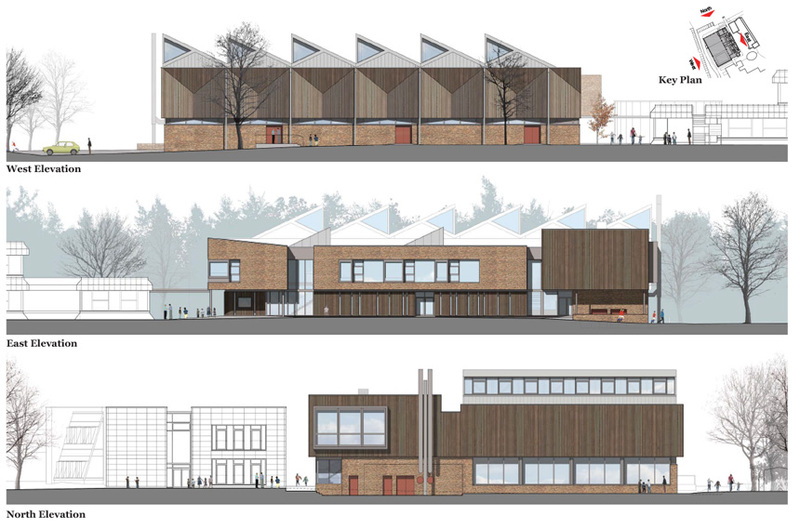 The new building is in two parts – a banded sports hall ‘box’ set against an articulated two-storey block containing dance hall, changing rooms, storage, reception/office, meeting rooms, wcs and kitchen. 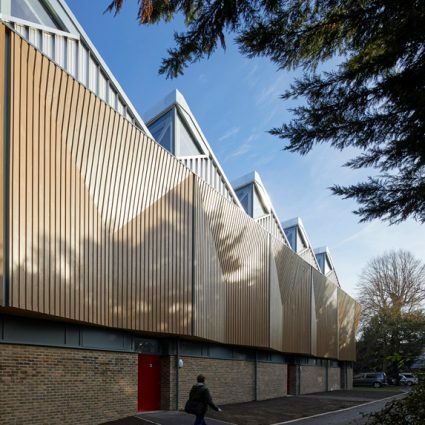 The warm brickwork, folded stained larch cladding and saw tooth roof define the form and create an architecture that is both functional and expressive. 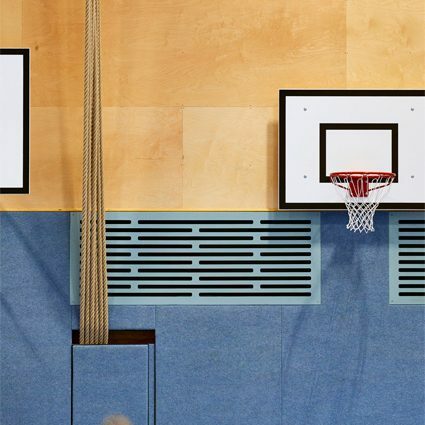 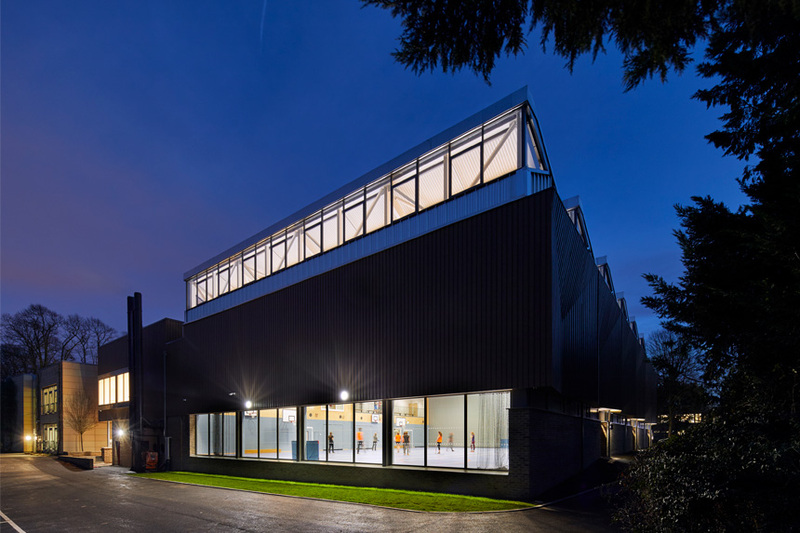 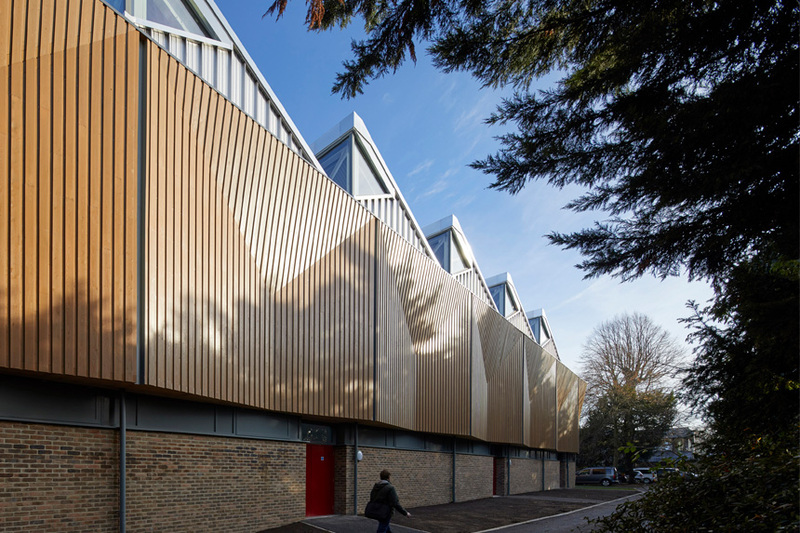 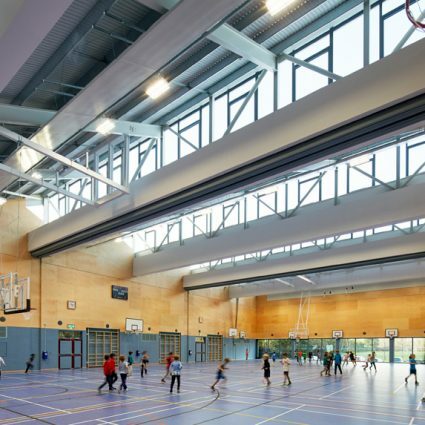 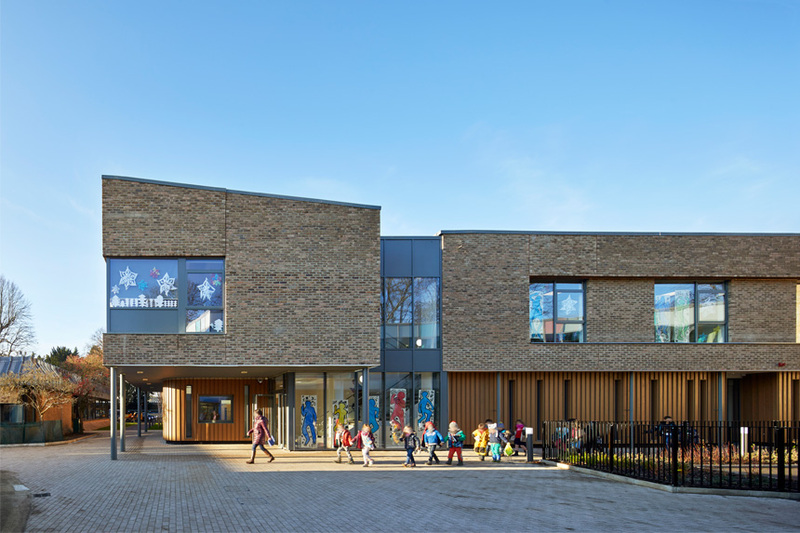 Carefully planned around the existing school buildings, floodplain, Metropolitan Open Land boundary and mature landscaping, the sports building improves circulation and orientation as well as defining and creating vistas into and out of the school centre. 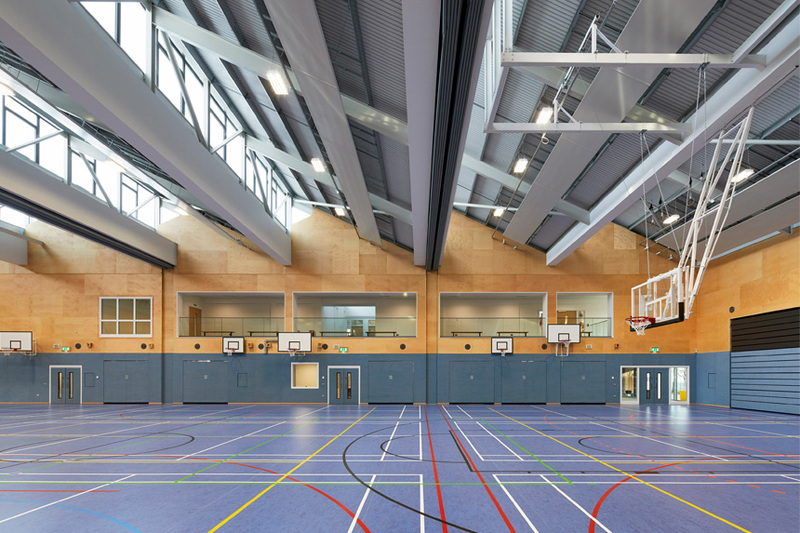 The main sports hall is 44 x 22m with a clear height of 7.5m to facilitate competition standard Handball, Futsal, Basketball and Badminton. 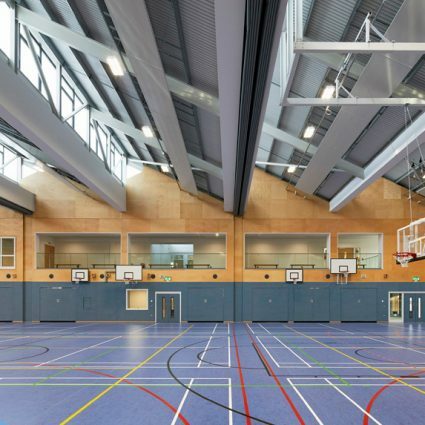 It has a viewing balcony and can be subdivided into three separate courts with acoustic curtains and can also be used as an assembly hall with retractable bleacher seating. 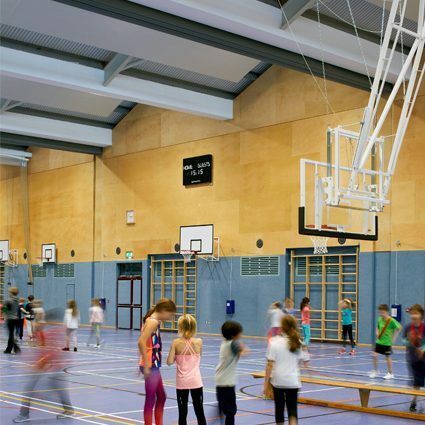 The 150m2 secondary hall has a sprung floor and ballet barre. 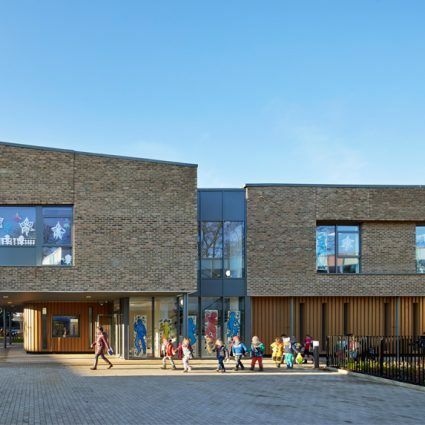 Construction of the BREEAM Excellent project was carried out over a 15 month period and required the school’s district heating plant to be retained and incorporated into the building. 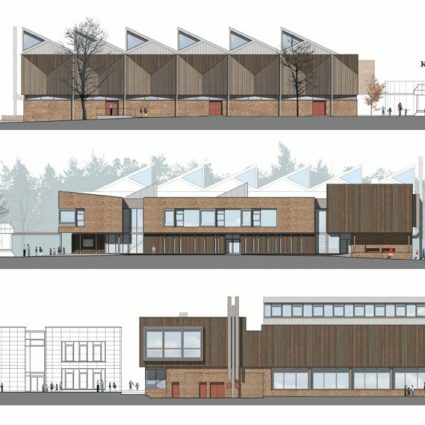 "Many people have been instrumental in making the new sports building happen - in time, on budget and with great quality and design. 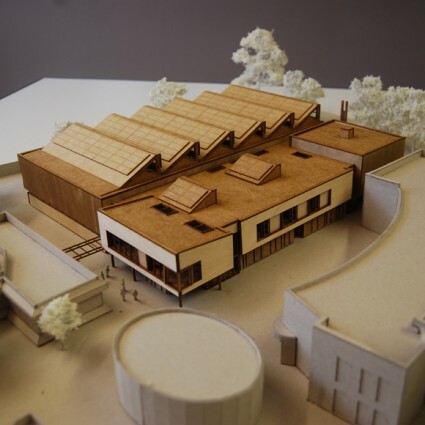 At a time where collaborations like these cannot be taken for granted, we consider this an exemplary process of international teamwork where our school, our architect and the building company, as well as the local authorities and the German Government have joined forces"